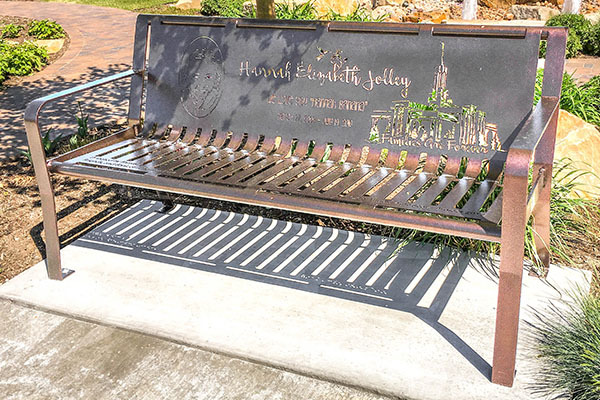 The Classic Memorial Bench is one of our most popular bench options. 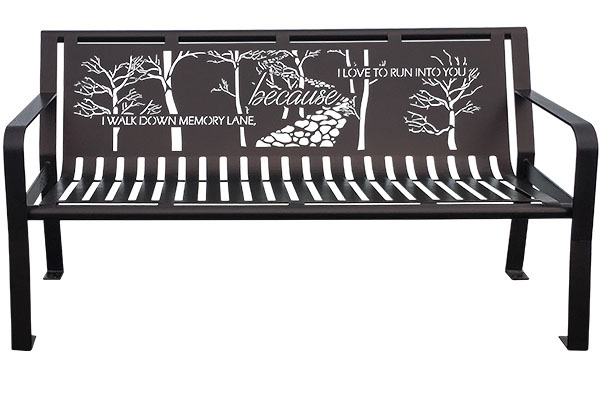 Parallel slats are the default design but can be switched out for custom inscriptions, images, and more. 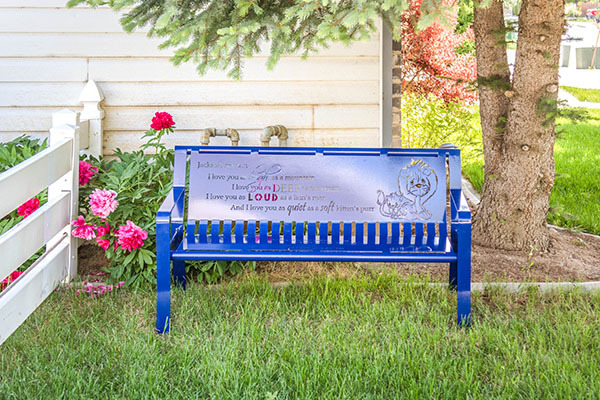 The Classic Memorial Bench is a meaningful way to honor a loved one’s life. 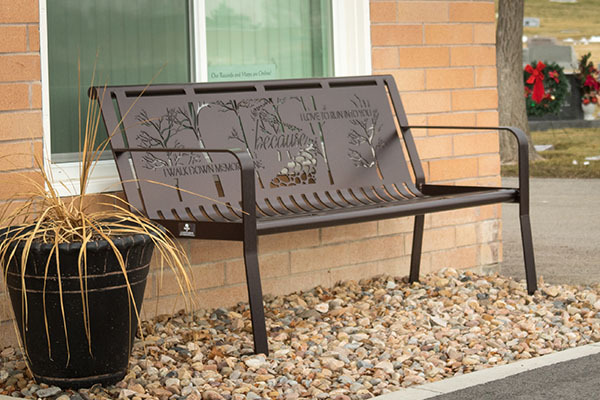 It is a beautiful addition to parks, cemeteries, backyards, and other commercial or private areas. 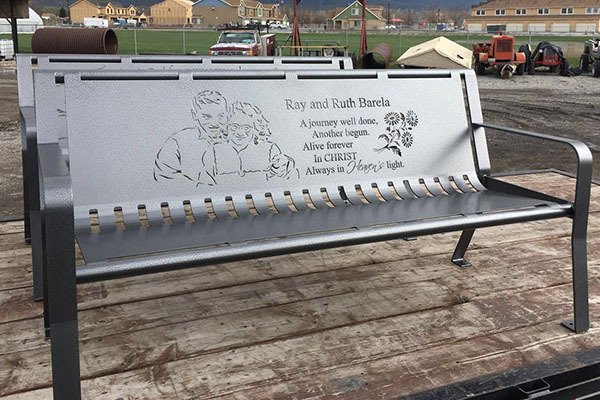 Call (801) 414-1724 to get started with a Classic Memorial Bench order. 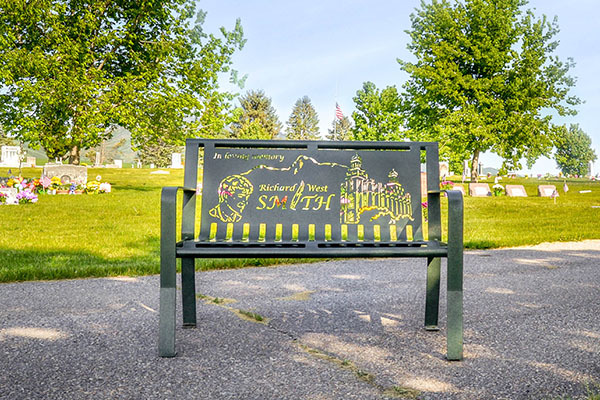 Choose between our three memorial bench size options. Six foot is our most popular size. 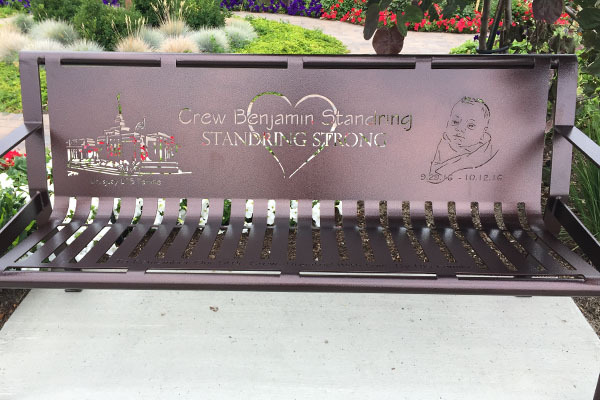 The bench is cut from a single metal sheet and bent into place. All welds used are fully closed. 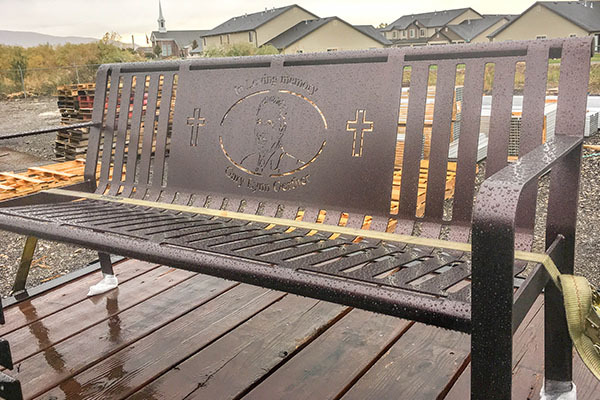 Powder coat is applied to the Classic Memorial Bench. 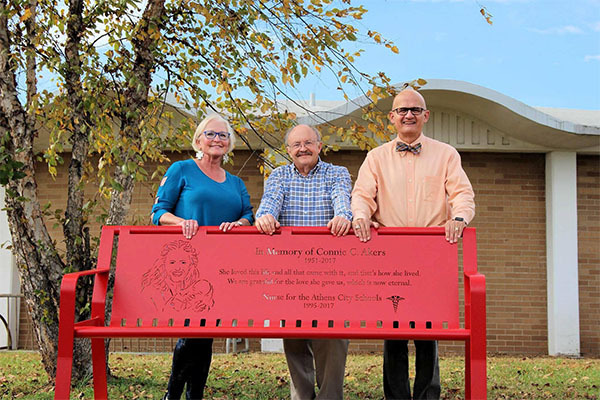 This prevents the bench from rusting. 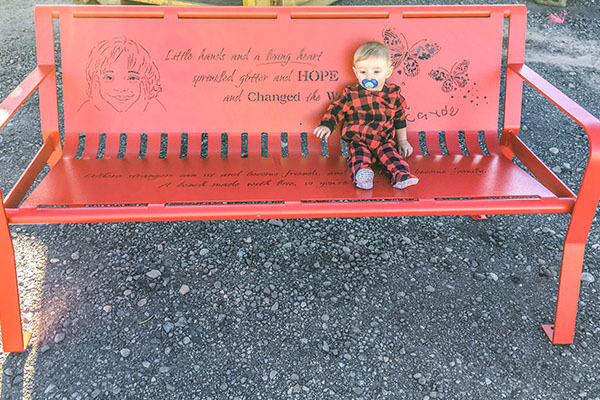 Portraits, inscription, and other personalized designs can be laser cut into the bench back. 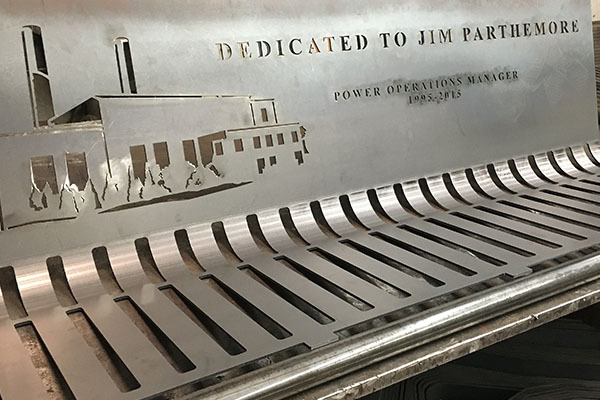 At Smith Steelworks, our team will work with you every step of the way during the bench design process. 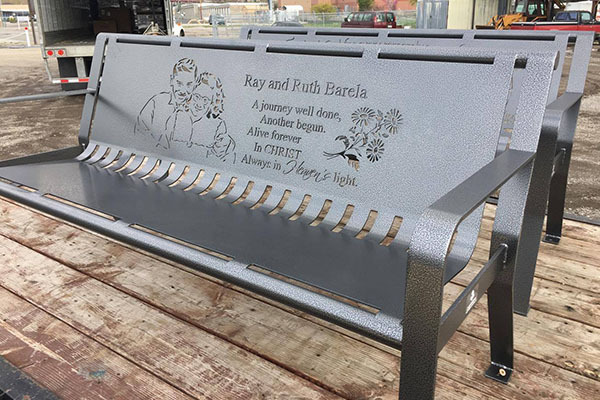 To start, send any ideas you have for the bench. 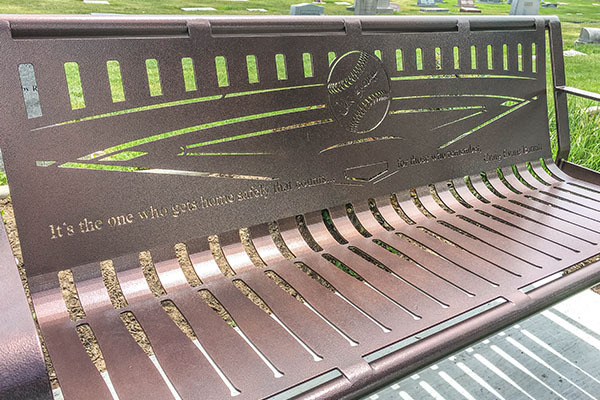 We will turn those ideas into a bench mockup. 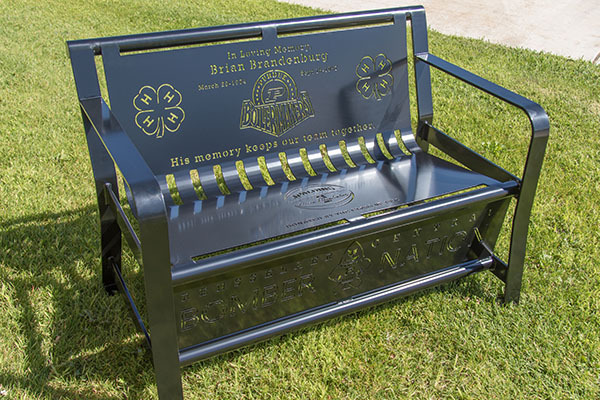 You will have a chance to approve the design before the manufacturing process begins. After the bench was been welded together, the powder coating process begins. 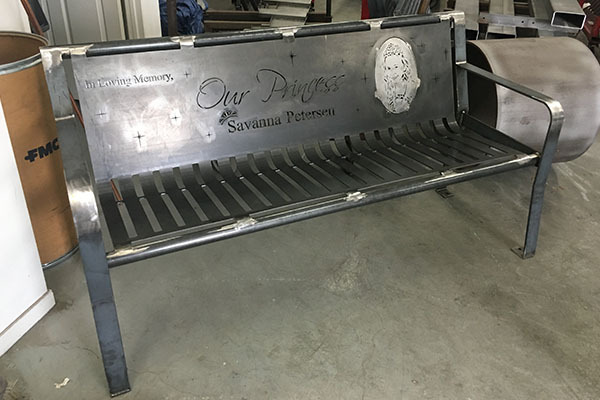 The bench is sandblasted down to a white metal finish. This removes all impurities, creates a profile, and helps the powder adhere to the metal. An epoxy primer is then applied. Powder coat is then applied through an electrostatic spray gun. It is then baked at 400 degrees Fahrenheit. 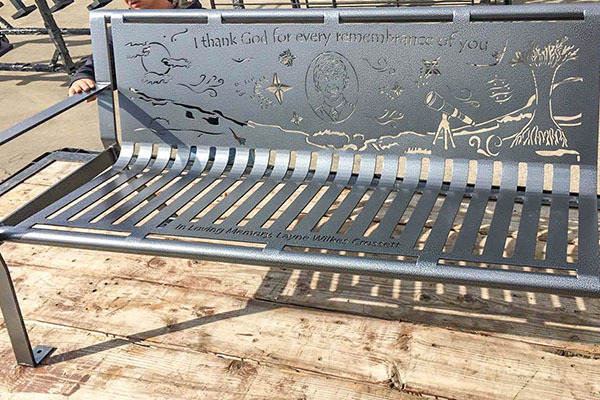 This process creates a durable, smooth surface over the entire memorial bench. 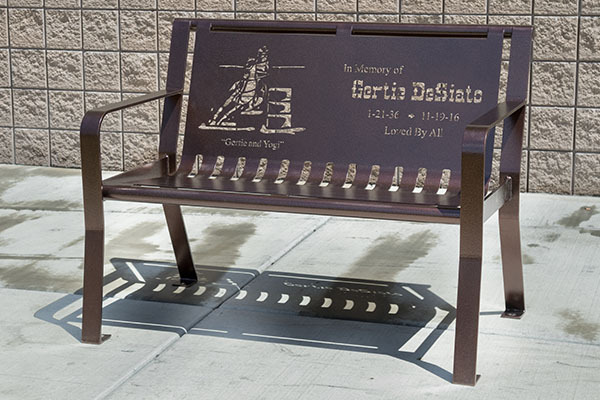 The Classic Memorial Bench will then be protected from chips, scratches, sun fade, rust, and more.